Wonderful things can happen in the mountains. Firstly, you can see snow in July. Secondly, some peaks are so high that on certain days their secrets will be covered with a blanket of clouds. Thirdly, it may happen that exactly at sunrise an unexpected crack appears in the clouds to let the rising sun peek through just for a moment as if to introduce a new day. 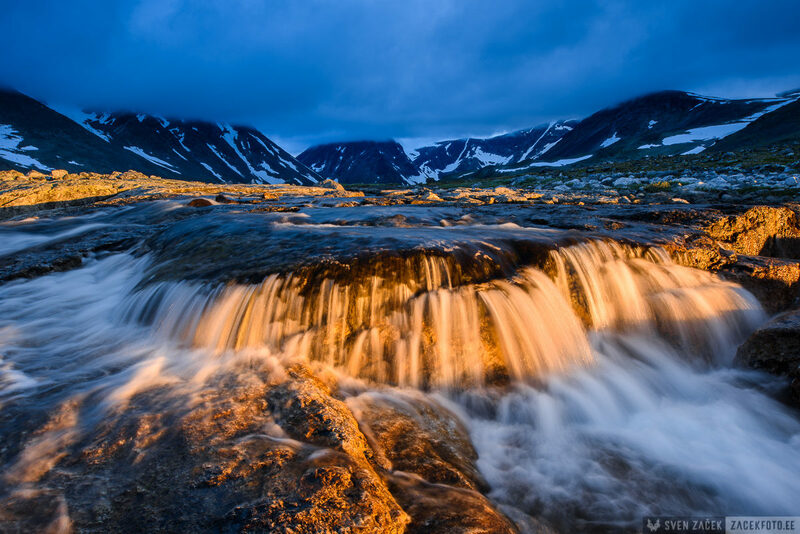 Jotunheimen National Park, Norway.